The Physics of this century continues to be a science filled with several enigmas. Several questions remain unexplained and many topics are still incomprehensible; fundamental problems are constantly raised and challenging physicists mind. Among puzzles and insoluble experiments, such as the Cavendish experiment and the Double-Fissure experience, fundamental issues are raised, completely defying the understanding, the concepts of logic and human intelligence. Hidden variable persist to stay unknow and can permanently perturb the thought of a scientist. The 'Travel in Time' has emerged as a need to understand and join together all of the biggest questions currently open in Physics of the XXI century. This topic is extensive by its definition, as such, the main purpose was to present a summarized approach, in a way as complete as possible but rather extensive, of all the major problems affecting the Physics of this millennium. This majestic science is unique and the only one which embraces the atom, the life, the Universe and just about everything, absorbing a vast thematic of topics and different issues apparently divergent and with little relationship. However, relationships, similarities, and truths, are already written in the Big Book of Nature! 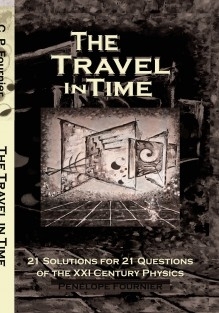 This work presents us with a simple Documentary, a Journey and a Travel in Time, simply based on fundamental equations, relations, facts and cosmological considerations, without having to appeal to a too much technical or mathematic language. As such, the entire structure of this book brings together all the essential information and basic concepts of Physics so that any reader can follow what I would like to designate as a Natural History of the Universe! All solutions presented for the 21 Problems are deeply justified and based with a large scientific support that sustains one single Theory relatively simple ... I think that the 21 Solutions could perhaps intrigue the experts of Physics, by raising new questions, doubts and problems and also new ways of solving them. Basically, this work aims to present a new approach and a new perspective for the treatment and resolution of old problems of Physics. 21. Formula of the Unified Theory. Note: If you wish to have a free download of this book, please click under the green arrow ( on the top, right side ). Parabéns pela edição em Inglês do seu livro!